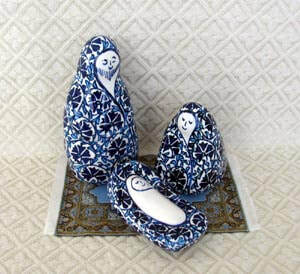 The Holy Family comes with a Turkish rug. Each rug has a unique pattern; the photo is only an example. The rug is machine-made and measures 6.25 by 4 inches. $50. Please click here for purchasing instructions.